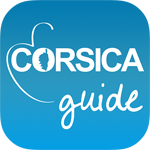 Covering everything from beaches and hikes to local eats, shops and culture, we’re excited to announce the release of the Friendly Corsica App powered by mTrip! Just in time for spring the offline iPhone and Android app is your perfect companion to explore island. With it’s stunning natural beauty and unique past, Corsica offers everyone something to enjoy. Whether it’s visiting the museum, diving into the crystal clear waters or taking a hike up the mountains inland, exploring the island with the app is a breeze. Using offline maps and navigation integrated in the app there’s no need to worry about getting lost or finding your way around Corsica. Looking for activities, treks, beaches? How about cultural hot spots or local eats such as seafood, wild boar, cheese and of course wine!? The app has you covered with a exhaustive travel guide of anything you’d like to do on the island including opening hours, descriptions, pictures and more! Lastly, don’t forget to share your adventures with the trip Journal.